New function from migRaven Version 2.1.0! We complement our migration tool migRaven with an additional function. After creating the target directory, the data are to be copied. Thereby the new function "Deploy Data" supports the user. 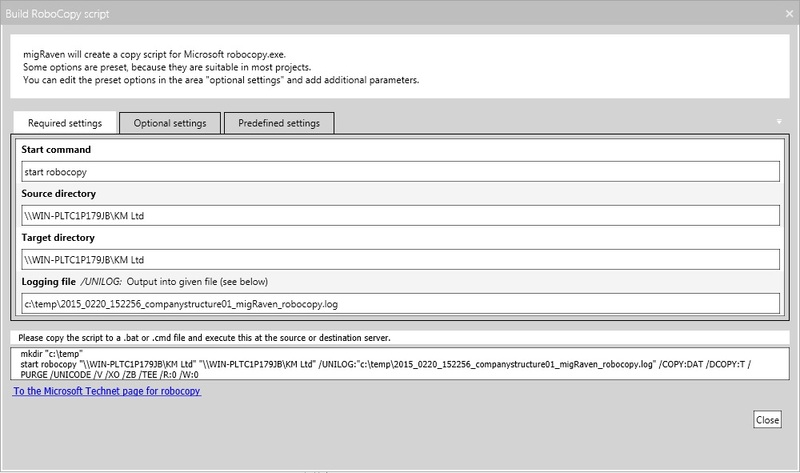 migRaven uses the Robocopy command and recommends the necessary parameters, which the user must copy and execute in a batch. Robocopy is a very flexible copying tool with 70 parameters and is already installed on your Windows computer. 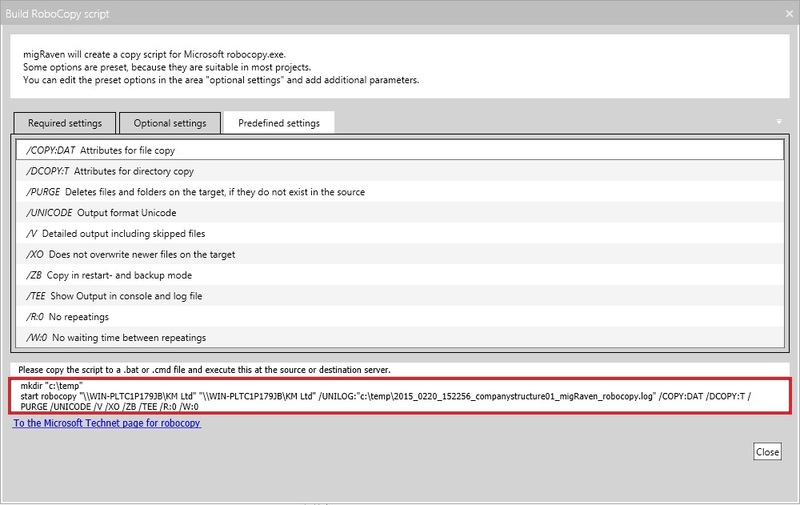 All Robocopy parameters are available with Microsoft on the Technet page. The output path, the target path and location of a log file are the required parameters. must be supplemented so that the job does its work. 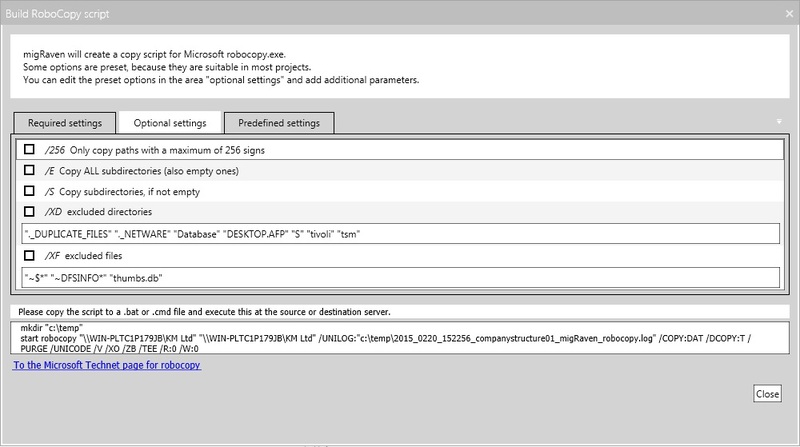 The Deploy Data is a Robocopy script, which translates into a batch and can execute on the output or the target server. Your data is copied from the output directory into your target directory. Log files are stored under "c: \ temp". This automatic copy function is where the directory structure was not changed. Afterwards please check whether your target share has the correct name. The target share should often be the name of the output share. After copying, you can rename both. For quick results, we recommend one accompanied test installation.